Bringing in one of your kids to help? Oh, girls, that's playing dirty. 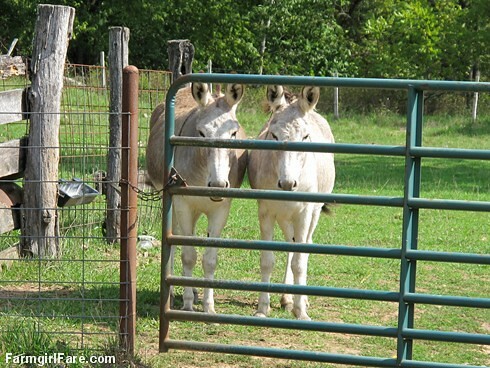 © FarmgirlFare.com, home of the underhanded donkey tactic—and all's fair in love and treats. my great dane has the sammich death stare. 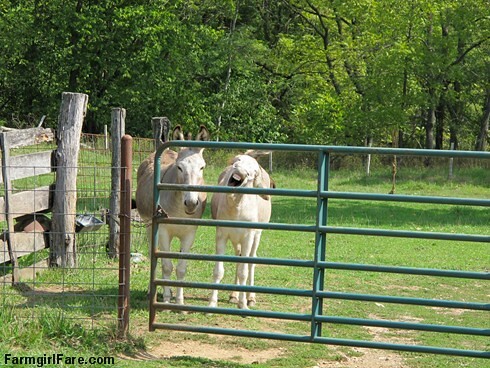 donkeys and danes look alot the same. Oh,I love it! My two little dogs do the same thing, first the stare,then they get demanding and will actually howl like the little wolves they think they are for their goodies or to go "walkies". So Funny! Glad to see it Green! They are not quite as scary as they think they are! My four pound Yorkie tries this from time to time but I remain unconvinced! 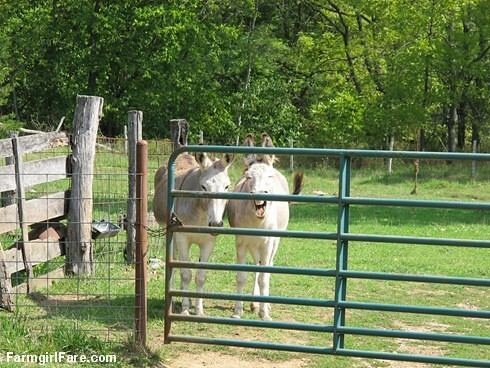 Hug the donks for me! 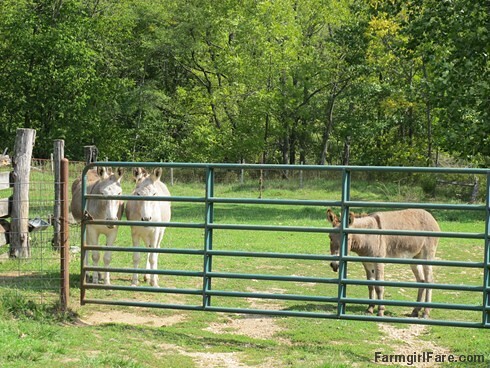 Who knew donkeys could be so manipulative? Way too funny! And way too cute! Thanks for sharing these great photos!! It's the blinking that slays me. I can handle the death stares from dogs, horses, cats...whatever. But the slight squint and then the sweet blinking from my Jack Russels that kills me every time.